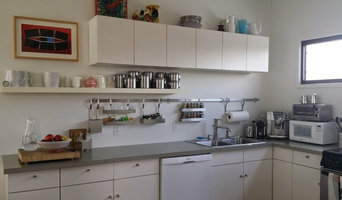 Organized Impressions | Home Staging & Organized Interiors is based out of Madisonville, LA. As St. Tammany's ONLY full-service home staging and professional organization company we specialize in helping you move out or in AND professionally staging your home for sale in the surrounding areas of Mandeville, Madisonville, Covington and Abita Springs, LA. At Red Door Home Staging, our goal is to work closely with you to create an environment that is appealing to all potential buyers and ultimately sell your home as quickly as possible. Home Staging and decorating is a great way to sell your home for more money, less time on the market, and less stress. We also believe that making a great first impression to potential buyers is critical in selling your home - you never get a second chance to make a great first impression! 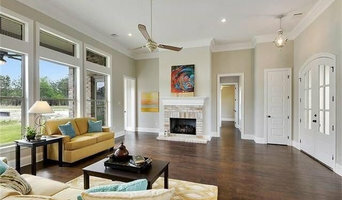 Welcome to HomStaging LLC, a home staging company localized in the heart of Louisiana. Our goal of staging is to improve the appearance of your home, devoted to meet the unique needs of each client and every property: whether you are a home seller, renter, buyer or just want to redesign your house. Retail furniture store offering stylish yet affordable home and office furnishings. Provides free initial home consultations and affordable home staging. We are a home staging firm that take the guess work out of your project. We take your vision and make it a reality, one room at a time. Simply Significant is our inevitable progression of a lifelong passion for creative design. This passion along with over 15 years of combined career experience working together as Interior Design Consultants at a prominent furniture and design company has led us, Kristina Mercier and Rebekah Perre, to establish Simply Significant - A Staging & Redesign Company in July of 2017. We have found that having two individual perspectives gives our projects a well-rounded and simply significant outcome. Whether chic & sophisticated or fun & trendy, we can cultivate any inspired ideas into a stunning reality. From start to finish, both Kristina and Rebekah will collaborate to bring a unique value to every project. Simply Significant offers a wide range of Staging and Redesign services for variety of clients... Real Estate Agents - Let us help you stand out from the competition and appeal to a broader range of buyers with our staging services. Homeowners - We have a variety of services to help you achieve your redesign, remodel or restyling goals. Builders - We can provide you with the added confidence of having the most stylish and fastest selling homes on the market. For Sale By Owner - You only get one chance to make a great first impression when selling your home; make it count with our staging services. Lagniappe Services - For that unusual project that needs an exceptional outcome... Simply Significant's services can be customized to meet your needs. The goal of LA Interiors Staging & Design is to assist realtors, homeowners, and investors who are interested in capitalizing on real estate. We create stunning interiors with an an emphasis on elevated design and quality. Whether it is a single room, an entire house, or a business that is designed to work closely with clients our interiors are tailored to deliver a personal design experience. We believe in the proven success of home staging. LA Interiors Staging & Design founder’s licensed Real Estate Agent Taly Noronha and Interior Designer Fabiola Arguello have a decade of combined experience in design and developing new build. At LA Interiors Staging & Design we believe in the demand for a business that can ease the process of selling a home by helping potential buyers to envision themselves in a home that emphasizes the space, functionality and specific characteristics of a home. The goal of LA Interiors Staging & Design is to assist realtors, homeowners and investor who are interest in capitalizing on real estate. A business that is designed to work closely with clients and stage homes to create an environment that is a reflection of the client needs, whether it is a single room or an entire house. We believe in the proven success of home staging. Since hurricane Katrina New Orleans landscape is constantly changing. Almost everyday we come across new construction and developments being implemented in the city’s neighborhoods; from large apartment complexes to a $1 billion airport terminal to residential construction in largely undeveloped areas of New Orleans. It is an amazing time to be part of this ever changing and vibrant city. A buyer knows within the first 8 seconds if a home is “the one”! First impression is everything in the Real Estate Business! Our first class staging service was created out of the desire for homeowners to maximize on their real estate profits in a highly competitive market. Our specialized services, which includes evaluating and assessing each home, offers a customized home staging plan which includes furniture placement, wall art, drapery installation and other accessories. This uniquely executed plan, which highlights the home's distinct attributes, ultimately helps draw in more potential buyers. As an Interior Designer and Decorator from South Africa, Pomegranate Design & Decor prides itself on providing a one of a kind client experience. We create incredible living spaces that are uniquely you, with a professional aesthetic. With a background in commercial as well as residential projects, there is no project too big or too small. Professional Home Stager. You only have a one time opportunity to make a first and lasting impression. This is how I will present your home to potential buyers. What does an Eden Isle home stager do? Home staging companies in Eden Isle, LA employ a variety of different techniques to present the home in the best light possible. The first step will likely be to make sure the home is impeccably clean, including the exterior of the house. Next the home stager will work on removing the personal touches that are unique to the current owners. Paint colors might go from dramatic reds and purples to neutral tones like beige and taupe, in order to appeal to the masses. The home will likely be cleared of family photos, risqué artwork, collections and knickknacks, so potential buyers will be able to better envision their own life in the house. In some cases furniture will be swapped out, and you might not even recognize your own house. Some Eden Isle home stagers tackle most of these tasks themselves, while others work with subcontractors and other professionals to get the job done. Here are some related professionals and vendors to complement the work of home stagers: Interior Designers & Decorators, Photographers, Real Estate Agents. The process of staging a home can be difficult for some homeowners, especially when being asked to change things you’ve poured your heart and soul into over the years; but try not to take anything personally, as the stager only has your best interest in mind and no intention of insulting your personal taste. 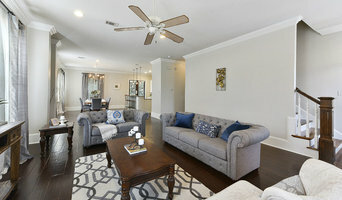 Before you contact a professional home staging company in Eden Isle, LA, make sure to consider a few things: Are you willing to change your home and take the advice of this professional to help sell your house? Do you think your house would greatly benefit from the help of a stager? How long are you comfortable having your home on the market? A staged home is likely to sell faster and, on occasion, at a higher asking price than a non-staged home. While there is no guarantee this will always be the case, it’s often true and can make the entire selling and moving process a lot less stressful in the long run. If you are selling through a real estate agent, it’s a good idea to get their opinion on whether staging your home would be beneficial to your specific situation. Find a certified Eden Isle home stager on Houzz. Narrow your search in the Professionals section of the website to Eden Isle, LA home stagers. You can also look through Eden Isle, LA photos by style to find a room you like, then contact the professional who staged it.